Packing Size: 20.87" x 35.83" x 3.15"
Simple plastic pavement board for multiple purposes. 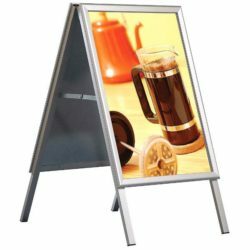 PS Display is suitable for inkjet printing and adhesive folio. Easy to move and store. It can be delivered with black a chalkboard for writing with chalk pen. Product is single packed. No assembly tool. Unbeatable price to provide movement and attention to your stores! This Plastic A frame sign can be used either indoor or outdoor as a pavement sign , menu board sign or sandwich board sign .This is our least expensive plastic A frame sign. 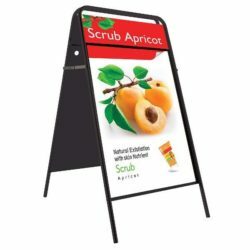 Cheap yet practical, this pavement signage provides quick set up, easy movement, compact storage and rapid change. It’s up to you to adhere posters or write a message. Made from plastic polystyrene, this A frame sign should be used with vinyl adhered text or with taped on signs. Please note that markers will leave permanent markings. For write on products please see related items on this page. 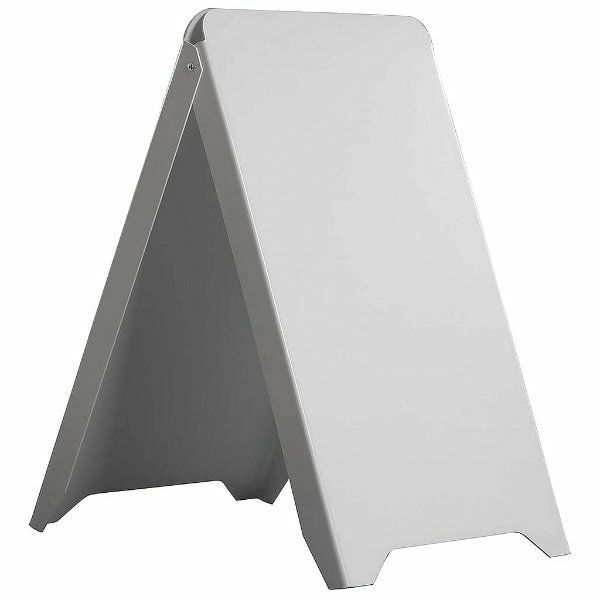 When not in use, this plastic pavement signage folds flat for compact storage. 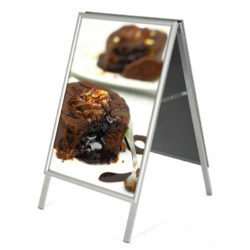 This double sided Plastic A frame sign is a great attention grabber ensuring your ads to be seen from any direction. 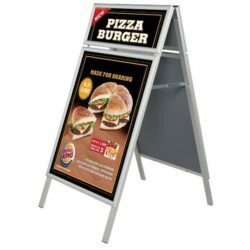 All you need to do is to feature on these sidewalk signs what your prospective customers want. As clear as crystal, these cheap sidewalk signs are a must have for retail shops, restaurants, parking lots, and many more to lead customers to their doors. 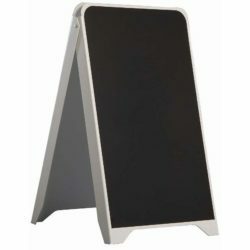 Sandwich board signs are effective advertising tools at good deal price, ready to ship from stock. For large volume orders, keep in touch with us! I love this, assembly took less than a minute.